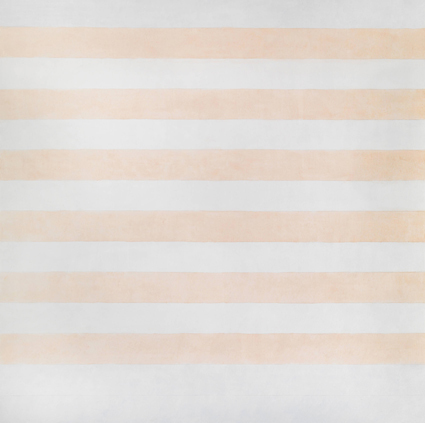 Agnes Martin said that inspiration found her and that she could take no credit for it, she just emptied her head – especially of thoughts of herself – and inspiration would come into her ‘vacant mind’. She maintained that her personality and experiences were irrelevant to her work, a belief that has commonly been reinforced by the few people allowed to witness her sitting for hours, waiting for inspiration to appear in the guise of a minute but fully formed mental image. Martin’s gallerist (and eventual friend) Arne Glimcher wrote, “…she was extremely self-effacing and separated her persona from her art. She believed that she was the locus where her art happened, rather than its creator.” Yet critics and curators seem less easily satisfied: who was the reclusive Agnes Martin, and from where did her ‘inspired’ paintings develop? Her lifestyle is often referenced as informing her aesthetic; a persistent endeavour to order and silence a fragile, troubled mind by producing immaculate, rational, quiet works. Tate Modern mercifully restrains from introducing Martin’s paintings as ‘products of personal and spiritual struggle’ caused by her schizophrenia until Room 5 of its current major retrospective, but nevertheless the exhibition at times develops into a distracting mashup of what we are told of the artist’s biography and what we can see for ourselves in her work, providing comfort and explanation in personal anecdote, and portraying Martin’s work as a logical story of cause and effect. Despite any of the vulnerability implied by the narratives surrounding her paintings, Agnes Martin at Tate Modern is a vast, comprehensive survey of her robust and relentless vision, best viewed by spending time with her paintings and not by dwelling for too long on the explanations of why they may have been made. It was only a few months ago that Malevich’s monochromes were last in London, venerating his radical contribution to the end of pictorial painting and some proclaimed, to the end of art itself. 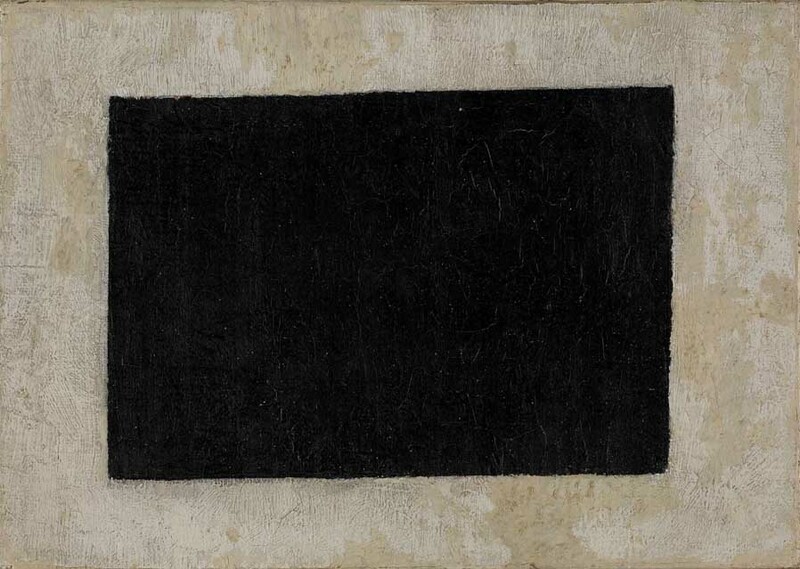 Tate Modern’s Malevich, Revolutionary of Russian Art (16 July – 26 October 2014) was very much a historical survey; looking back at the long shadow Malevich’s Black Square – a headstone for representational painting – cast over the history of modern art. Adventures of the Black Square, Abstract Art and Society 1915–2015 at Whitechapel Gallery until 6 April clearly and alternatively positions the work’s reductive form (in this exhibition it is Malevich’s diminutive undated Black Quadrilateral that is featured) as the beginning of a new art starting in Russia and Northern Europe in the early twentieth century. The spread of geometric abstraction is then documented chronologically as it travels internationally throughout the next hundred years. 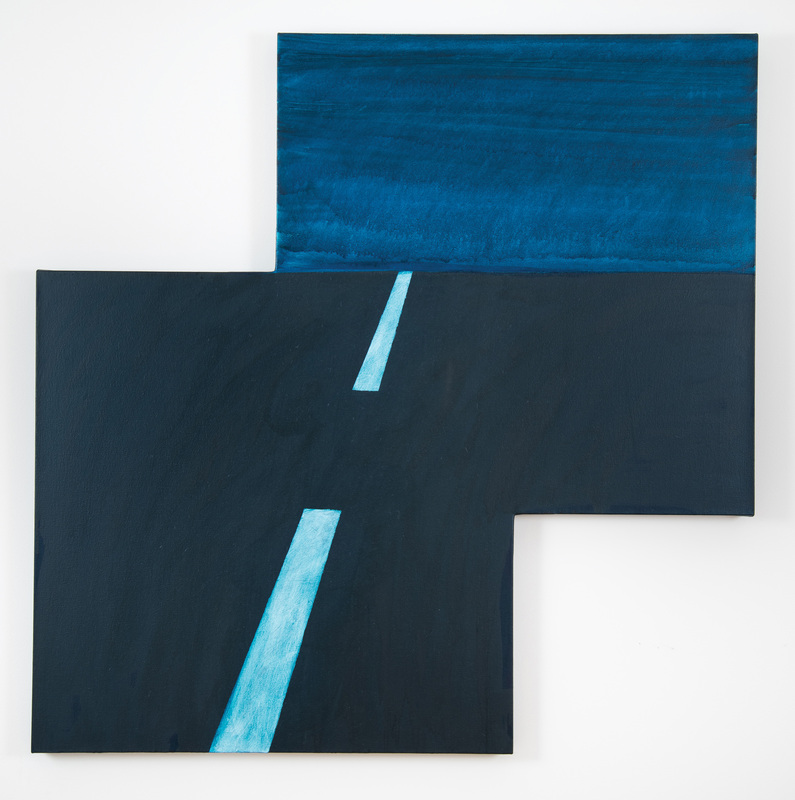 Rather than Black Square being revered as merely a portrait of an idea, it is shown as the initiator of geometric works that connect with, reflect or challenge society. Adventures of the Black Square presents abstraction as not being estranged from social reality, that its concern with form, shape and colour throughout its history are intrinsically linked to politics and expressions of modern living.